Preview images for the iZombie Season 5 premiere episode "Thug Death"
The fifth season of iZombie premieres Thursday, May 2 and The CW has released official photos from the season opener for the fifth and final season of the zombie comedy. The season premiere is called “Thug Death” and in these photos we see guest stars like The 100′s Jessica Harmon as Bozzio and Veronica Mars’ Daran Norris as Johnny Frost. So, grab a brain to eat and flick through the slide show of photos from the season premiere, why don’t you? We’ll have some more iZombie Season 5 content soon. UPDATE: We now have an official description! YOUR FAVORITE ZOM-COM-ROM-DRAM IS BACK FOR ITS FINAL SEASON! — While investigating a murder case with no body and no brain to eat, the only evidence Liv (Rose McIver) and Clive (Malcolm Goodwin) have to work with is a grainy video and a little bit of blood found at the crime scene. Meanwhile, Blaine (David Anders) is up to his old tricks. Robert Buckley, Rahul Kohli, Aly Michalka and Bryce Hodgson also star. Dan Etheridge directed the episode written by Rob Thomas (#501). Original airdate 5/2/2019. 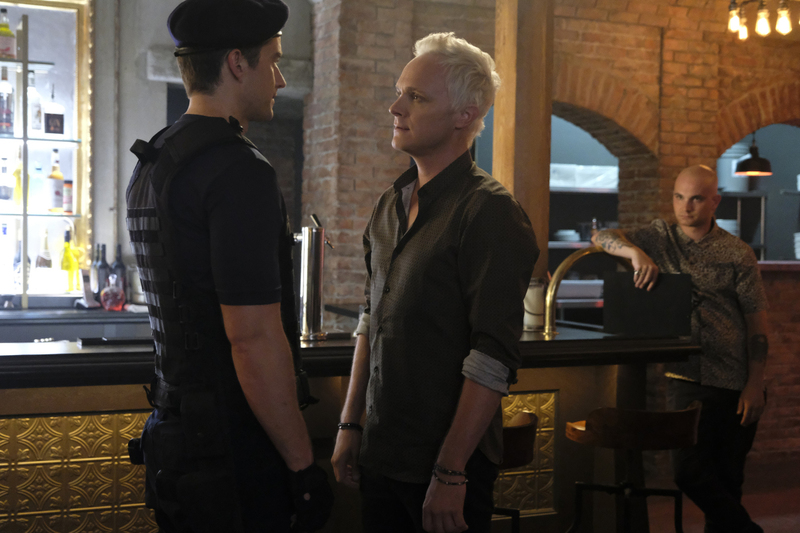 iZombie -- "Thug Death" -- Image Number: ZMB501a_0123b.jpg -- Pictured (L-R): Robert Buckley as Major, David Anders as Blaine and Bryce Hodgson as Don -- Photo Credit: Bettina Strauss/The CW -- ÃÂ© 2019 The CW Network, LLC. All Rights Reserved.